Positioned between the company’s existing entry-level and premium machines, it boasts a number of innovations that help to minimise operator input. For instance, as standard the machine comes with an automatic nozzle changer, an automated scrap conveyor that prevents any possibility of overfilling and an automatic laser cutting plate cleaner to remove any spatter created by the laser profiling process. In addition, an optional punch-die changer (PDC) can be supplied that increases the tool capacity from 44 tool stations, to 220 punches and 440 dies. 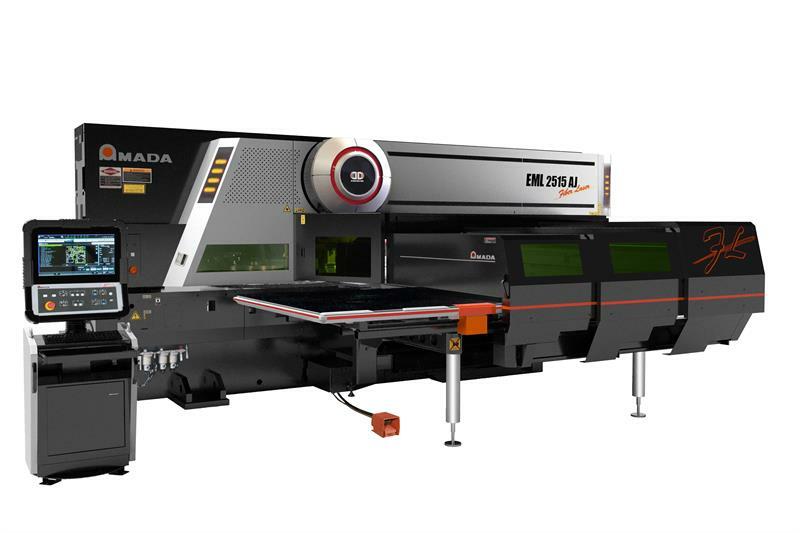 The single-bank 3 kW fibre laser source is sufficient for cutting material up to 6 mm thick, while the patented bridge frame offers stability during cutting. On the punching side, an air-blow system supplies the tooling with air and self-lubricating oil mist to prevent deposition and slug pulling. The avoidance of slug pulling is also aided by a vacuum suction system creating negative pressure beneath the turret. Punching slugs are therefore prevented from being pulled up. In this way, improved quality is also achieved, along with maximised output. Amada’s Z turret (offset upper/lower turret) supports fast tool changes. A feature claimed unique to Amada is P&F (Punching and Forming). P&F means that, in addition to 30 tonnes of force from the high speed ram, the EML-AJ can deliver 16 tonnes from a ram underneath the turret and form upwards. P&F forming is a standard feature on the EML-AJ, allowing the production of forms up to 22 mm high with no sheet distortion. The new fibre laser-punch combination machine is designed to reduce cost per part, particularly in comparison with previous generation CO2 laser-punch combination models. The new EML-AJ not only offers faster cutting than CO2 counterparts, but adds the ability to cut more challenging materials, such as brass, copper and titanium. The machine’s 3 kW fibre laser is up to 58% more efficient than a CO2 equivalent. Many bolt-on sheet load/unload options are available, including flexible part-picking systems, although the EML-AJ can be used as a stand-alone production centre, too. 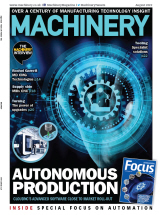 And a stand-alone machine can be retrofitted with automation, without the need for additional guarding, while the machine’s table cover design allows a fully automated EML-AJ cell to be loaded as a manual machine. Amada’s ID tooling system can provide full digital tool control for ease of maintenance, while simplified beam delivery means there are no internal mirrors or turbo blowers to service.